9,338 grt; 11,278 dwt; 2 passengers. Operator: China Ocean Shipping Co, Guangzhou, China. Built: 1964 by Nederlandsche Dok en Scheepsbouw Mij VOF, Amsterdam, Netherlands. Yard no 513. Built for Swedish East Asiatic Co, Gothenburg, Sweden as NARA. 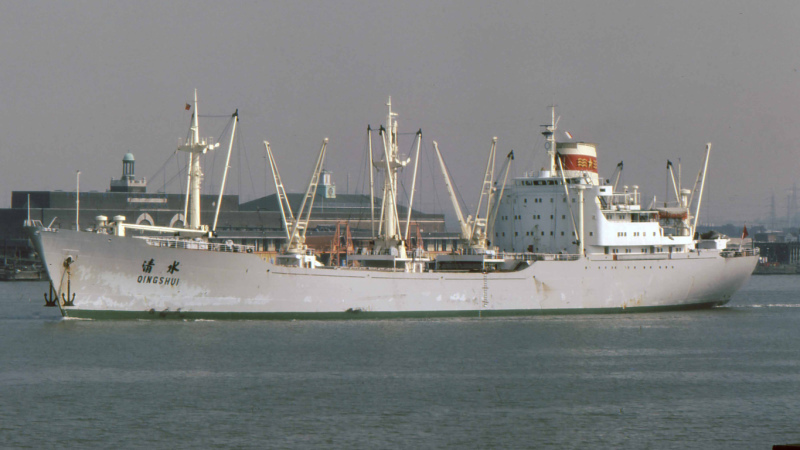 1972-sold/renamed QING SHUI (as photo). 1991-to breakers at Chittagong, Bangladesh, arrived 30/6.